Mangalore | Ramakrishna Math & Mission, Mangaluru. Ramakrishna Math in association with Chiranthana Charitable Trust, Surathkal is organizing Hindusthani Classical music Programme, “Panchamada Inchara – Viveka Smruthi” in the Ashrama auditorium on 12th & 13th August as per the details given below. Interested are invited to participate in the concerts and enjoy the renditions. We are very happy to inform that on 2nd June 2013, Sunday at 4.30pm newly constructed Bathroom-Toilet block was inaugurated by Sri Koppalkar, Group General Manager, MRPL at our Ramakrishna Mission Balakashrama. Our heartfelt thanks to all the donors, because of their generous help the construction of the new block was successfully completed. The ground floor has – bathrooms and toilets along with a store room, a room for hydro extractor etc. First floor is having – classroom and recreation hall. A cloth drying yard is also getting completed on the roof top. The current academic year of Vivekananda Coaching Center, which imparts tuition and value based education to deserving students of neighbouring area, was inaugurated on the 2nd June 2013, Sunday. Sri Koppalkar, Group General Manager, MRPL, Mangalore and Trustees and well wishers of the Math were present on the occasion. 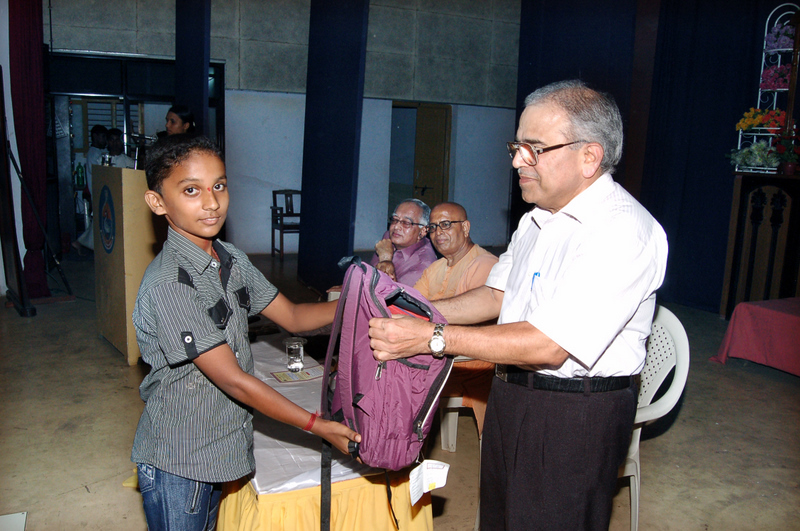 Educational aids amounting to about 1.5 lakhs like school bags, uniforms, note books, stationery items etc were distributed to about 150 deserving students. We are organising Antaryoga – One Day Spiritual Retreat (in Kannada) for the devotees on 9th June 2013,Sunday. Please register on or before 6th June 2013. 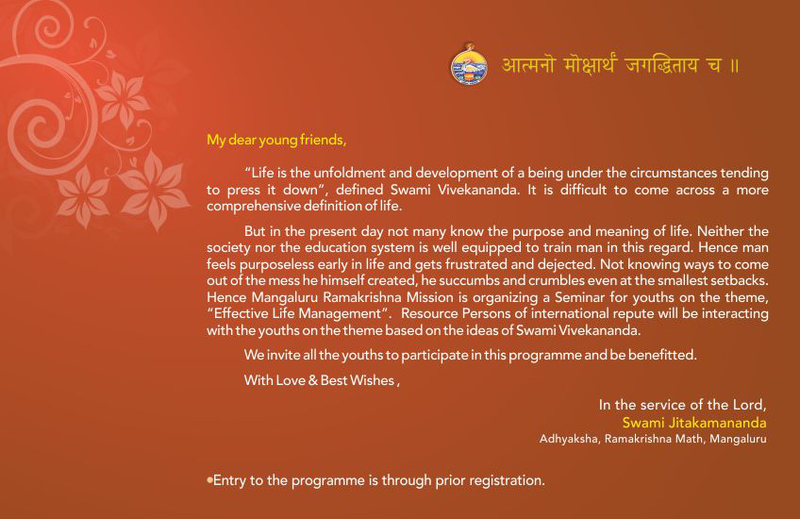 Ramakrishna Math, Mangalore is conducting a Yogasana Camp for 15 days starting from 18th October. 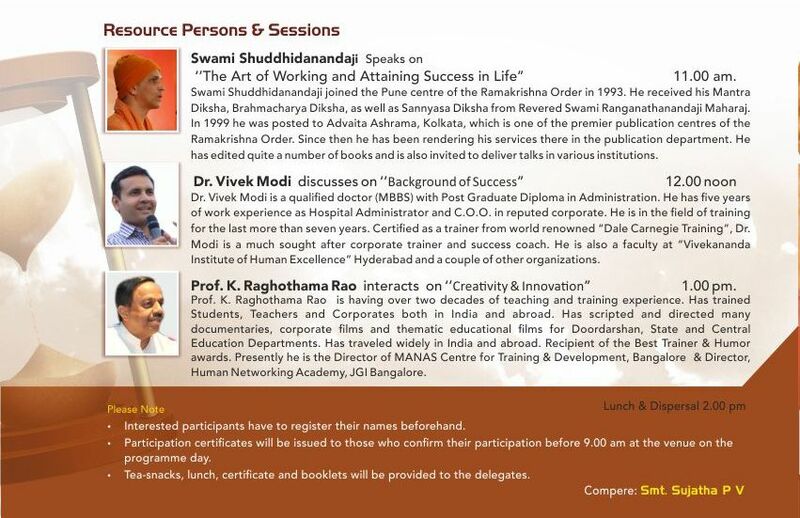 The camp will be of a duration of 15 days and Sri Mohan Kumblekar will be instructing the interested candidates. The camp will be from 6.30 pm to 7.30 pm all the fifteen days. Interested have to register their names at the Ashrama office and for more details office may be contacted at 0824-2414412. Reorientation Camp for Yoga Teachers of Dakshina Kannada Dist. One day reorientation camp for Yoga TEachers of Dakshina Kannada Dist. 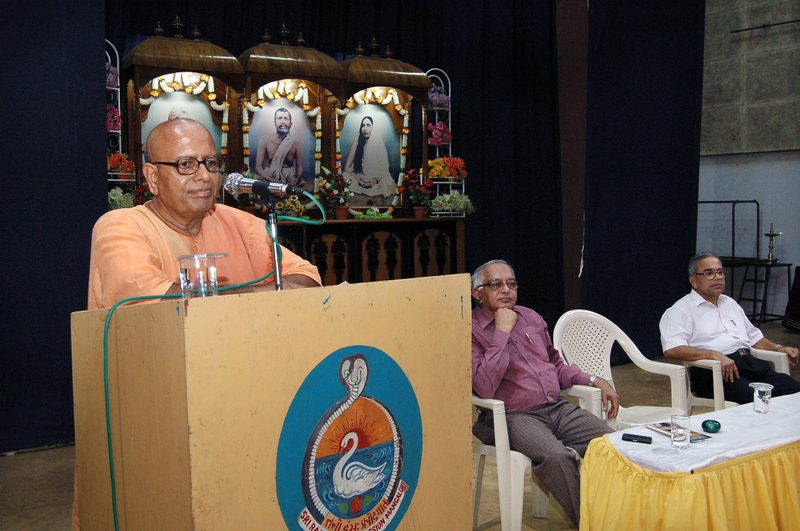 was held in Ramakrishna Math Mangalore on 25th June. About 225 Yoga teachers from different parts of Dakshina Kannada and Udupi dist participated in the programme. 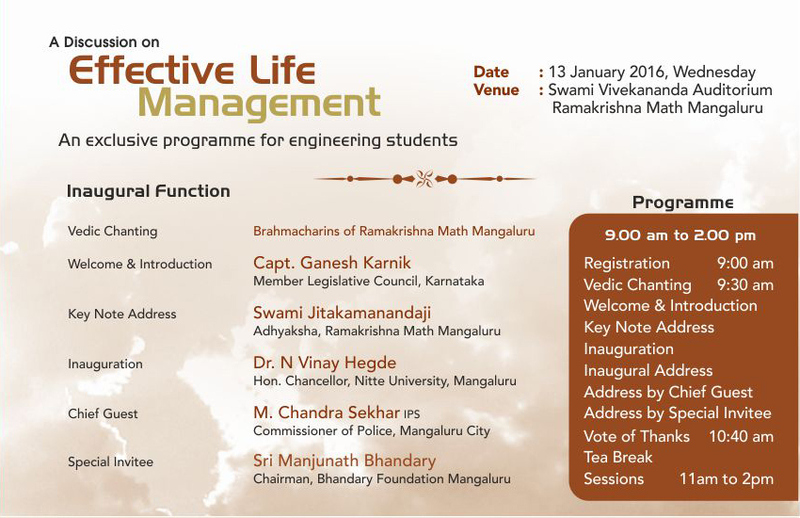 The programme was jointly organized by Ramakrishna Math with Education Department and Shantivana Trust, Dharmasthala. The programme started at about 10.30 inaugurated by Swami Purnakamanandaji. 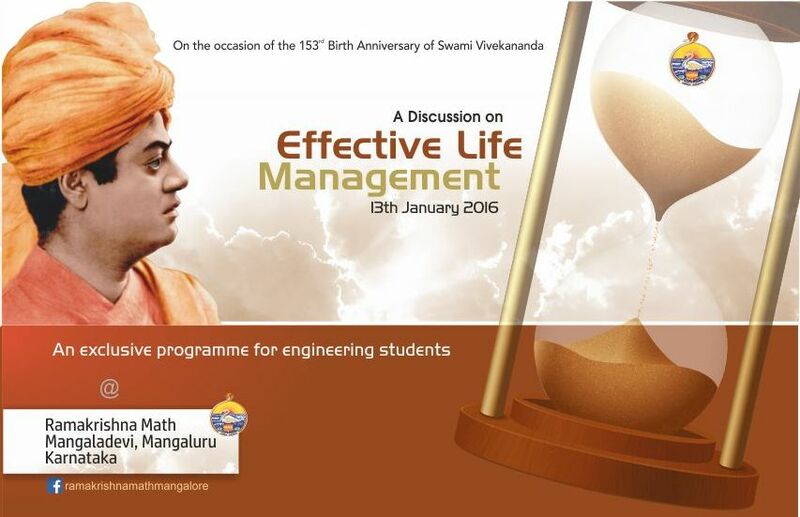 Swamiji delivered the inaugural address which was followed by guest lectures by Dr. Sonda Bhaskar Bhat and others. Sri Shashikant Jain of Shantivana Trust and other office bearers were present during the occasion. 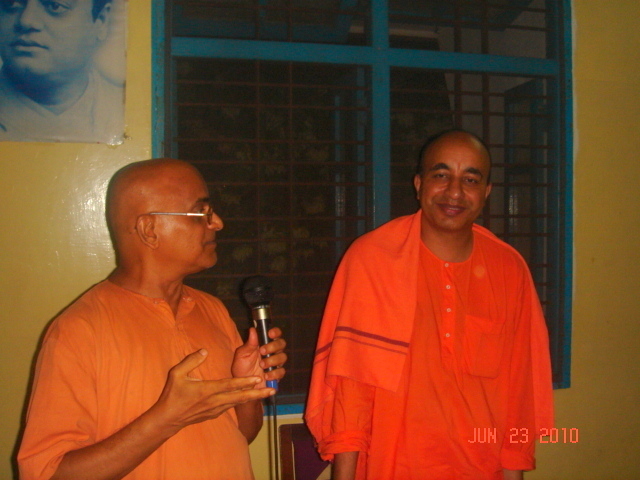 Swami Sunirmalanandaji Maharaj of Vedanta Ashrama, Brazil visited Mangalore for three days from 22nd June to 24th June. During his stay here he addressed the students of Karnataka College of Ayurveda on the topic, “Mind And Its Control” on the 22nd evening. About 250 students attended the lecture. 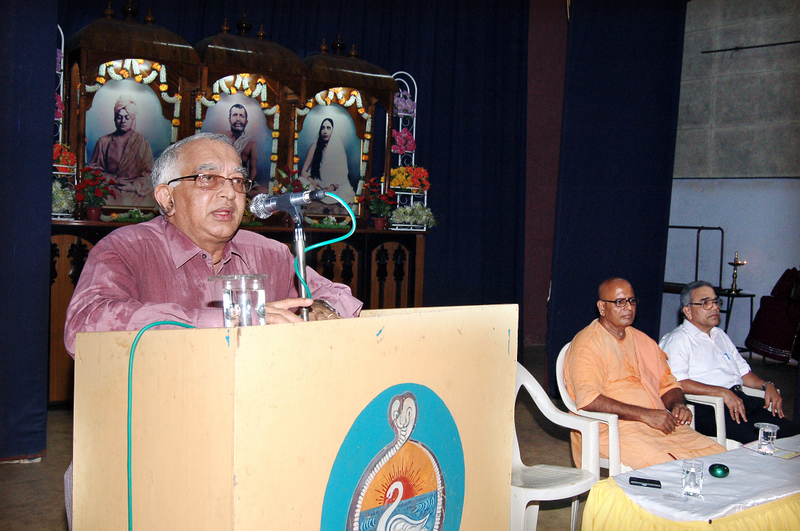 He addressed the students of Canara PU College on the 23rd morning on the topic, “Vivekananda & the Youth”. About 75 students were benefitted by his thought provoking lecture. 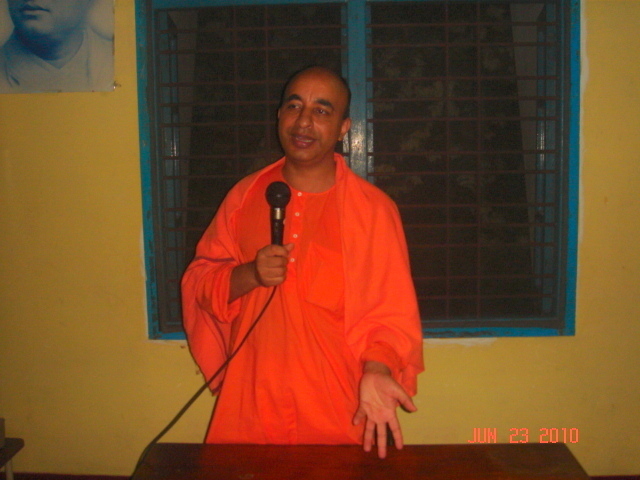 He addressed the devotees on the 23rd evening on Spiritual Life. After paying a visit to Sringeri, he moved to Mysore on the 24th evening. 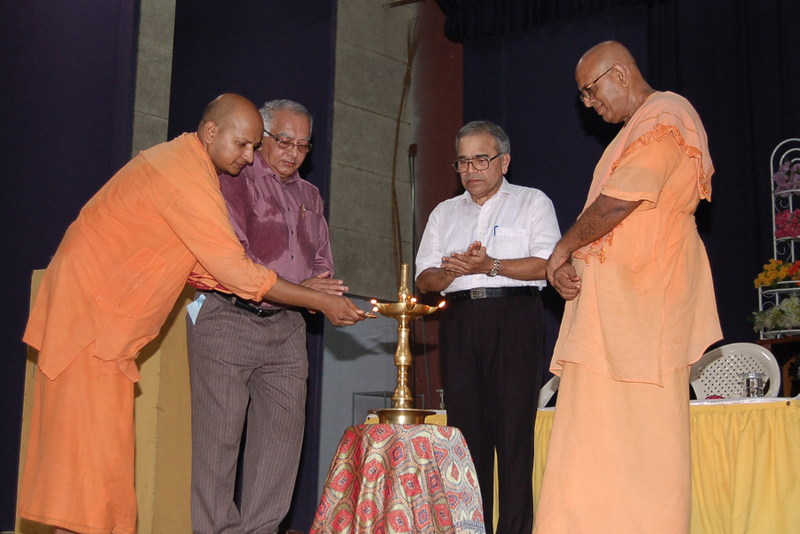 The new batch of Vivekananda Coaching Centre was inaugurated at Ramakrishna Math, Mangalore on the 30th May. Dr. Ramagopal Shetty, M.D. M V Shetty Educational Institutions, Mangalore and Sri Mallya M M, Retd. AGM, Syndicate Bank were the chief guests during the occasion. Both of them addressed the students and their parents gathered during the occasion. Free study materials worth more than one lakh rupees were also distributed among 150 poor students of the coaching centre during the occasion.